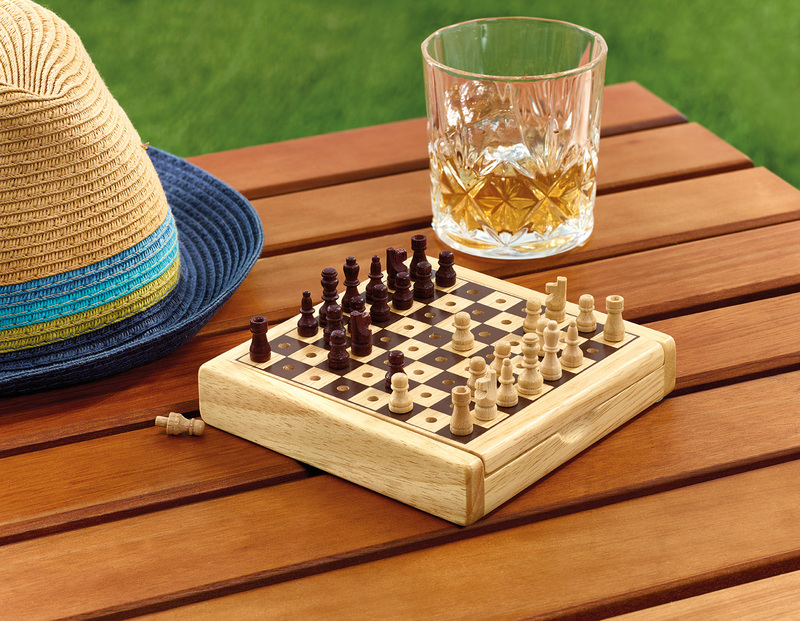 This compact set, beautifully made from re-forested hardwood is the ideal travel companion. Packaged in an attractive green box and includes a comprehensive rules booklet. 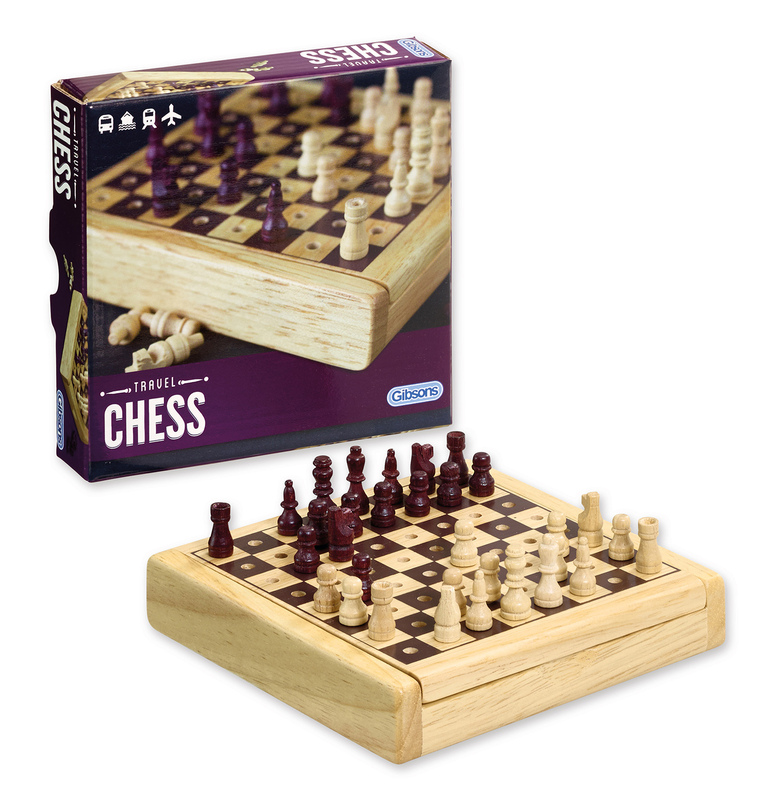 The set has a hinged top to allow the Chessmen to be stored inside.